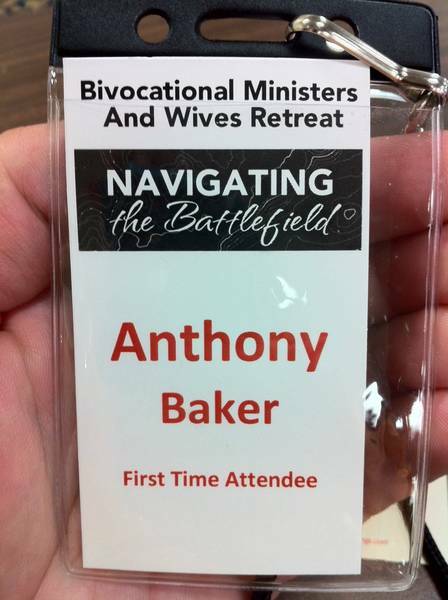 In February of 2012 my wife and I decided to attend a special retreat for bivocational ministers and their wives. 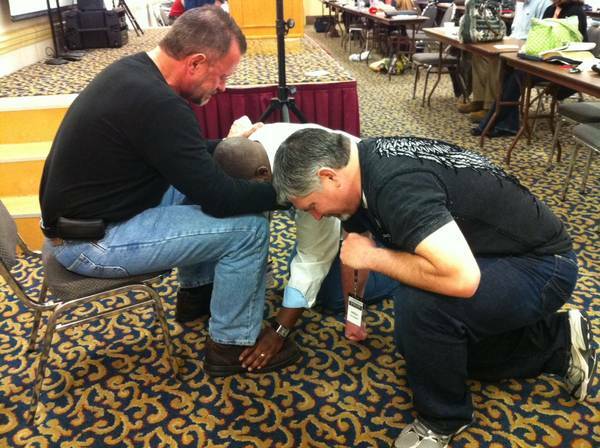 The retreat was held in Pigeon Forge, TN, at the Music Road Hotel and Convention Center. Just in case the above term is unfamiliar to you, a bivocational minister is one who performs the duties expected of a full-time minister/pastor, while also having to maintain other (secular) employment. The size of their church or congregation (or how much they are compensated) has no bearing on their abilities or calling. They are only serving where God has sent them. 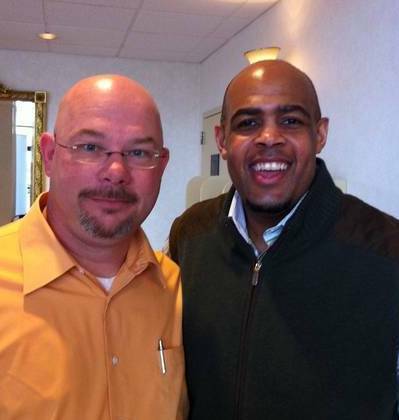 Unfortunately, bivocational pastors are often stigmatized as “second-rate” leaders. Some people think that if they were more qualified, more gifted, or better speakers they would pastor larger churches. The fact is that most churches, especially in my denomination, are led by men who are more than qualified to maintain a “higher station.” However, the real issue is that most congregations are smaller (35-100) and cannot afford to pay a full-time pastor. So, bivocational pastors carry on in the tradition of the Apostle Paul. Although Paul said in 1 Corinthians 9:14 that it is perfectly acceptable for “those who preach the Good News [to] be supported by those who benefit from it (NLT),” he chose to continue to make tents (Acts 18:1-3). But unlike Paul, many of today’s bivocational pastors have to work another job in order to survive. Some do it by choice, but most do it out of necessity, especially those with families. Now, it may sound bad, but there is an upside to being bivocational: we know what it is like to live in the real world. We have to deal with employers and employees. We know what it’s like to have problems at work, then go to church. We have schedules to juggle, bills to pay, etc. We are just like the people to which we minister. We don’t live in ivory towers. But one of the real downsides to being a bivocational pastor is the loneliness. Many don’t understand that we have the same demands, if not more, as pastors of larger churches – yet, with no staff. On top of that, we don’t have time to go on ministry retreats, sabbaticals, or attend conferences during the week. We can’t even get together with other pastors for breakfast to “talk shop” like full-time ministers do – because we’re usually at work. And because of all of this, we get lonely. We get discouraged. We get tired. But it doesn’t have to be that way all the time. I’ve said a lot to say this: even though it is hard to make the time, sometimes we have to make the time, regardless. That is why, even though it was inconvenient, my wife and I went to the retreat in Pigeon Forge. We needed the encouragement. We needed to be around others in the same boat, on the same sea. If you are a bivocational minister, you need to seek out and maintain friendships with other men you can trust, especially men in the same kind of ministry. It is so important that you don’t try to do things alone. Likewise, there are probably other men out there who could use your friendship. Churches, do your pastor and yourselves a favor: plan to send your pastor and his wife on a retreat. Both of you will benefit from the encouragement. He will be strengthened, and his burden will be lightened. Towards the end of our retreat, a beautiful time of prayer took place. It was a little impractical for us to wash each other’s feet, but we did do something special. Scripture says “how beautiful are the feet of those who bring good news,” but sometimes those feet don’t feel so beautiful, or loved. I wish all of you could have heard the weeping and seen the tears as grown men, God’s men, got on their knees and humbly prayed over the feet of their brothers. I felt like I was in a room full of heroes.